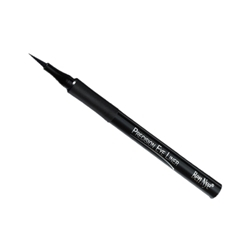 The Ben Nye Precision Eyeliner is designed to give you the ability to create even finer lines then you could with a traditional liquid eyeliner or eyeliner pencil. It offers ultimate control for an even and precise application. The ink is applied with a ultra-fine tip, is quick drying, skip-proof, water-resistance, and durable.